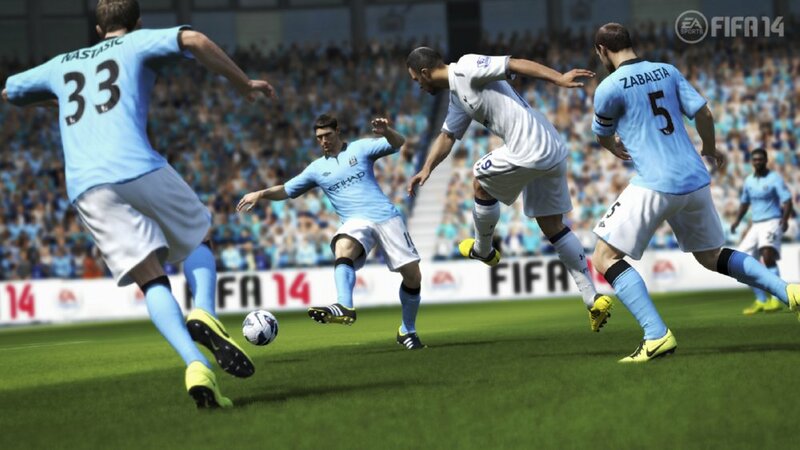 The chaps over at EA Sports have just sent this wodge of screenshots over to us which represent the world’s first look at the new FIFA 14 game which is due to be released in the Autumn some time. 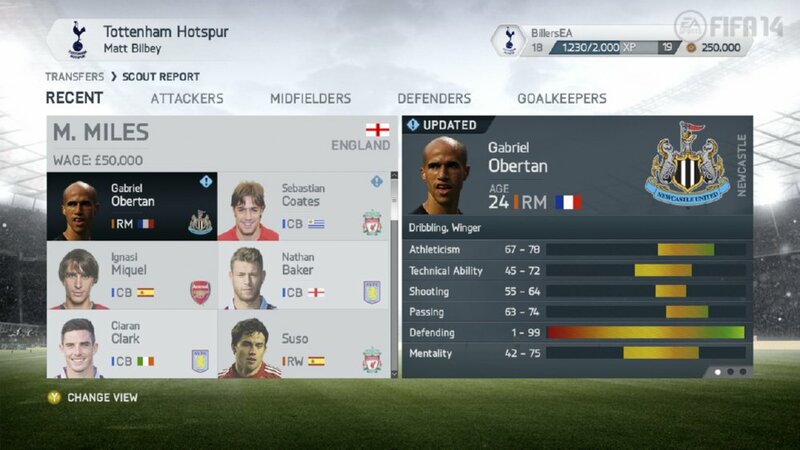 Judging by the images, we can confirm that both Gareth Barry and Gabriel Obertan are included. Phew! That’s a weight off our minds. Pure Shot – Players will alter their stride pattern/angle of approach to maximise their chances of hitting the back of the net. 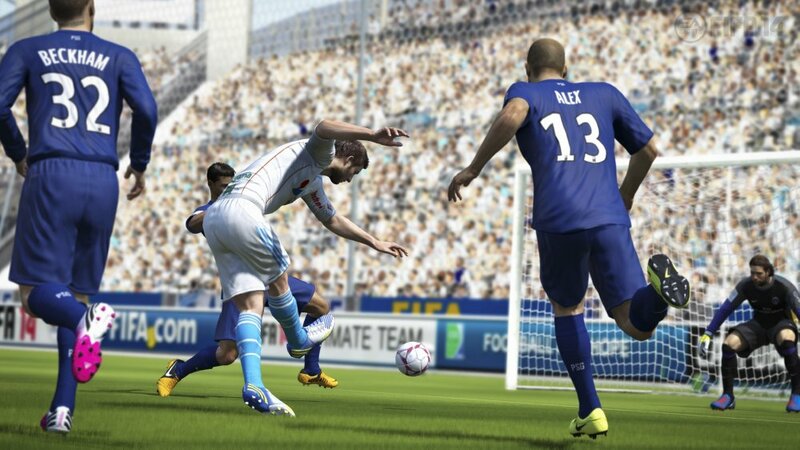 Real Ball Physics – All trajectories will be more realistic, whether floating crosses in to the far post, hammering volleys, drilling low shots or attempting Ronaldo-style “knuckleball” freekicks. 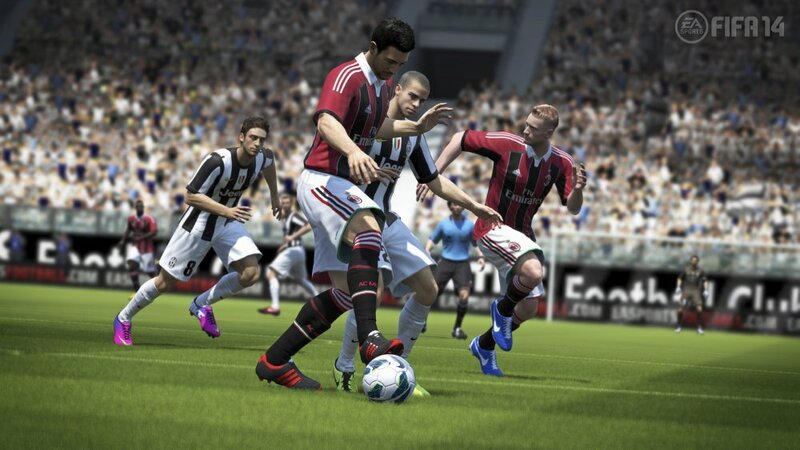 Protect The Ball – Exactly what is says on the tin: Players will be able to fend-off, out-muscle and jostle for position with opponents while dribbling or waiting to receive a pass into feet before using their body to turn away from any close attention. 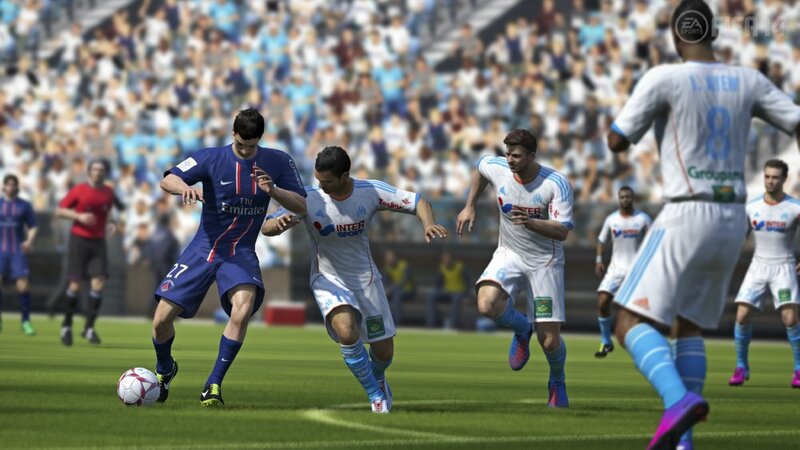 Teammate Intelligence – Your teammates will be more logical than ever, whether going forward as a unit, tracking runs, stepping up for offside or breaking up attacks coming the other way. Sprint Dribble Turns – Enables players to turn in every direction at sprint speed while preserving momentum, delivering the control and confidence to take on defenders one-on-one. 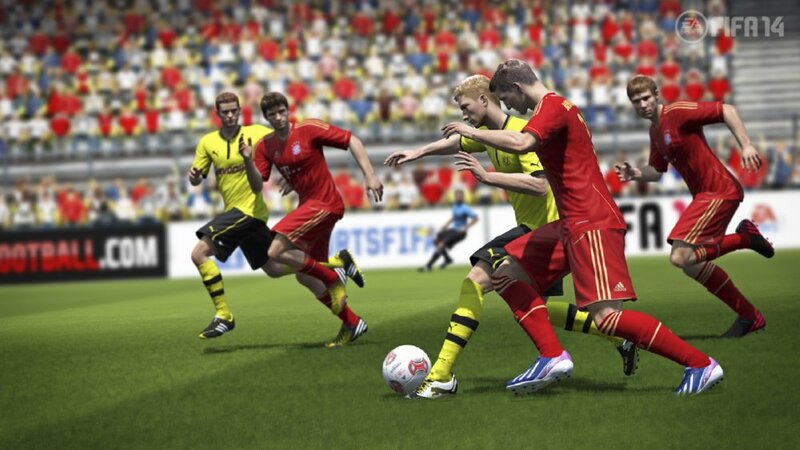 Variable Dribble Touches – Introduces a variety of different touches when sprinting. Skilled players will have better touch and control while hurtling down the wings. 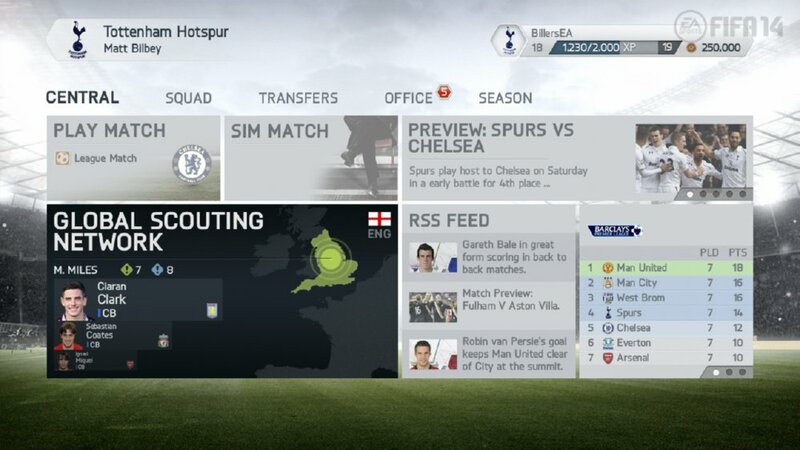 Global Scouting Network – FIFA 14 will let you scour the world for talent as a professional scout would. Pick your scout team and let them evaluate your transfer targets the world over. Who knows, you might even be able to cherry-pick the next Bebe from obscurity. 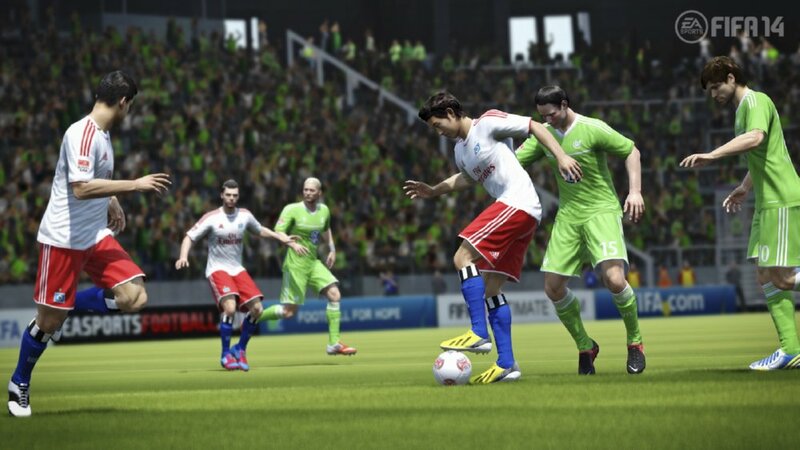 As well as the new features and over 500 officially licensed clubs and leagues, FIFA 14 will see the return of the immensely popular Ultimate Team mode plus a new online mode that promises to “encourage social competition”. 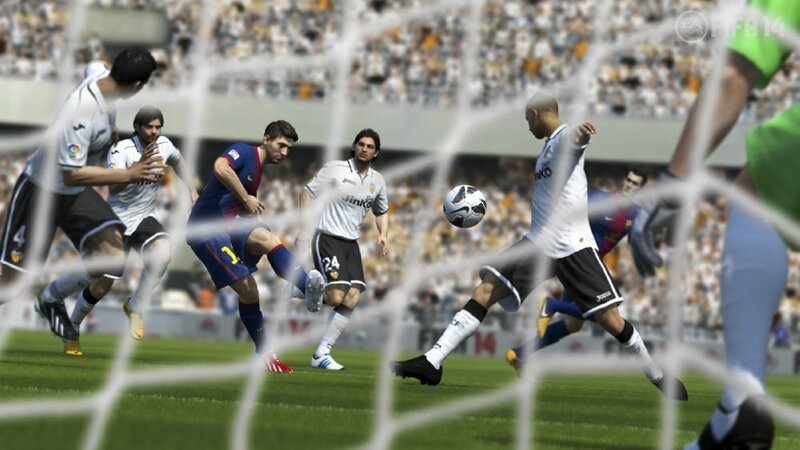 Chris – are the screenshots from the PS3 / 360, PC or PS4? 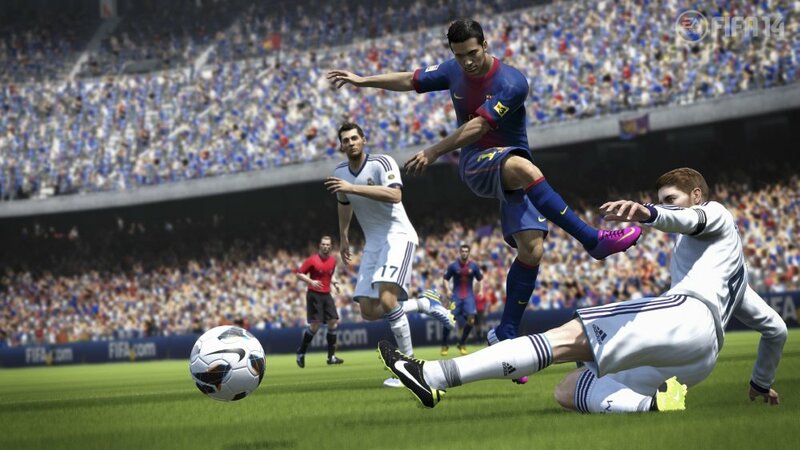 Given that the PS4 is scheduled for release later this year, do you know if EA intend to double-dip and release two versions (one for the PS3 in August and one for the PS4 and Xbox equivalent later in the year)? To be honest Si, I couldn’t tell you. It’s not included in the EA press pack they’ve sent. I assume they’re from the PS3 version, but that’s nothing more than a guess. @Si – i can tell you with certainty that EA will be doubling up as they’ve been doing for many years now. Good spot Justin. Them’s some mighty fine peepers y’ gots y’self there kid! Why anyone is scouting Obertan is beyond me.. and this is coming from a toon supporter!!! @Peters Obertan has been great for us Mackems! (also please let me insert a brief 3-0 reference here). Good day! The same old story: The same as the pervious one. see that drop of some joey barton in there? Teammates stepping up for offsides? I’ll believe it when I see it, EA.